With today's paperback publication of Hero Risen, the Seeds of Destiny trilogy is fully complete! The book is the longest one yet, but at £13.99 is £4 cheaper on release than the other two were, so is the best value for money of any of my books! You can only buy it online, and it can be found on Amazon here. As a quick update on Hero Risen, the first set of edits have now been done - these are the structural edits, which cover the major matters like plot, characters, development of certain issues, expanding on some things and cutting back on others. Next up will be the line edits, which is basically the proof-reading. An eagle-eyed expert will go through the whole book, letter by letter and punctuation mark by punctuation mark, meticulously checking everything from spelling to making sure I have the right name beside whoever is talking at the time. Both sets of edits rely heavily on the quality of the editors, and I have been extremely lucky with those I have had with the previous two books, combining as they have done technical knowledge with a real feel for the books. Yet again, this time with Hero Risen, I have been lucky with the standard of editing. Throughout the notes I was given, there were great suggestions for sections I could add, tweak or cut that made the book flow so much better and that added greatly to the story and the characters. I have so often read of authors dying how much they value their editors and how they couldn't do without them, and over the course of these three books I now completely understand that. While the line edits are being worked upon, a designer is crafting a cover, which will be revealed in due course - another exciting part of the development of the book. Thanks to all of these experts, Hero Risen is on course for its publication date of 1st June (for the ebook), so the end of this part of Brann's story is looming. This morning, HarperVoyager received Hero Risen, the third book in the Seeds of Destiny trilogy. 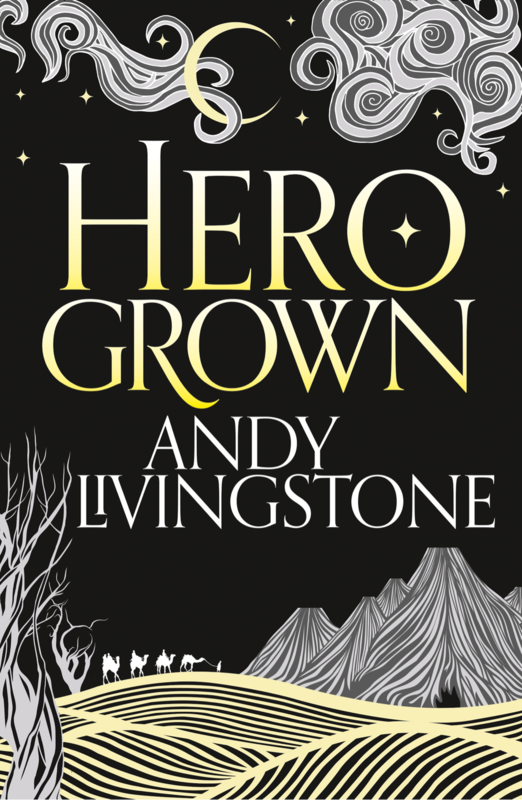 Twelve years after I wrote the first line of Hero Born, the story that was in my head has been completed (although, for clarity, books 2 and 3 were written in years 11 and 12 of that period)! The editing process will begin in the new year and the ebook is expected to be published in Summer 2017, hopefully June-ish. In the meantime, I will start work on the next trilogy. After all, we can't let Brann & Co get too fat and idle, can we? Latest news: Hero Grown date and cover!